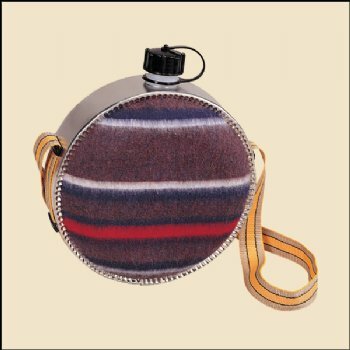 This Canteen is made with a high impact plastic body insulated with a Navajo like blanket covering. It has an Adjustable Nylon Web Shoulder strap and a Screw on cap with safety strap. 4 quart.